Who was Private John Parr? Jump to media player The deaths of thousands of young men in World War One still touch the lives of their families today, as Robert Hall reports. A World War One memorial that will eventually showcase almost 900,000 ceramic poppies has been unveiled at the Tower of London. 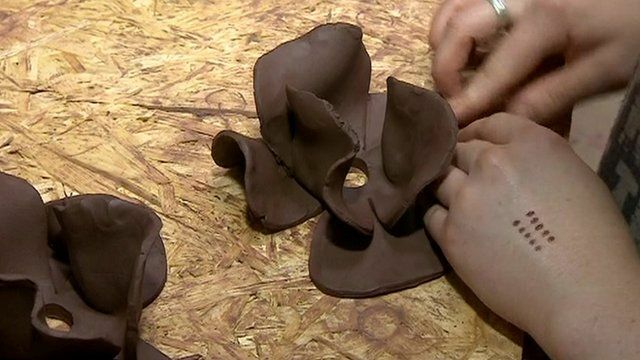 A team of 50 people at Paul Cummins Ceramics in Derby have been working since January to produce the flowers. The display is being planted at the Tower of London. Each poppy commemorates the life of a fallen British or Colonial soldier. Geeta Pendse went to see the poppies being put together.